When Does the Stock Market Show Losses & Gains? Historically, stock prices tend to rise in January when investors begin the new year buying stocks. 1. What Influences the Stock Market? Stock prices change frequently throughout the course of a trading session as investors absorb various events unfolding in the economy and stock market. It may seem surprising that one piece of information or a single event can fixate investors in the equity markets where thousands of companies list their shares, but it happens every day. Much of the stock market's performance is tied to investor expectations. Whether or not those expectations are met influences whether the stock market shows gains or losses. Corporate profits have the ability to influence stock prices so much that investors can pay more attention to profit results than to imperfect economic conditions. This was the case in 2011 when stocks rose despite the fact that more people were filing for unemployment, according to a 2011 Bloomberg article. That same focus on financial performance can also cause stock market losses, as was the case in the third quarter of 2012. Even though corporate profits were largely earned as expected, investors focused on slower revenue growth, and stocks experienced one of their worst sessions in months, according to a 2012 NBC News article. When the economy is in recession, which is a period of time where the economy contracts instead of expands, stock prices usually decline. In 2011, after the economy emerged from a previous recession in 2009, fears circulated that the economy was on the brink of yet another recession and stocks declined 18 percent, according to a 2011 Wall Street Journal article. 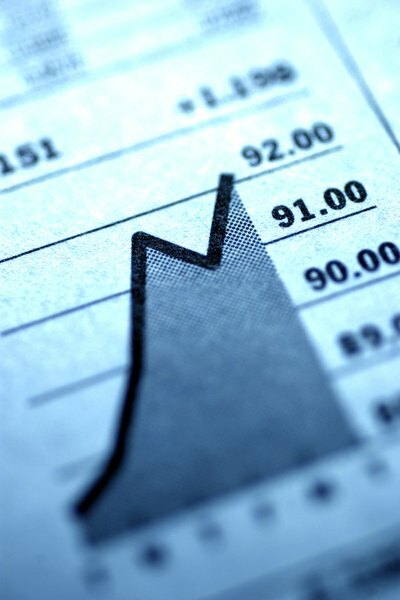 Positive economic data can cause stock prices to move higher, as was the case in November 2012, when evidence of a strengthening global economy triggered a 1-percent gain in the stock market, as reported in a 2012 Market Watch article. Emotions are among the factors that drive stock prices higher or lower. Two of the primary emotions that investors respond to are fear of financial loss and excitement for potential profits. In 2012, when there were global economic uncertainties stemming from Europe, investors started one particular trading session with relief that the European economic problems would not extend to the U.S. markets. A Fox News article reported that the stock market advanced by 100 points, only to later lose nearly 150 points after investors changed their minds and began worrying about the fallout from Europe. The stock market doesn't respond well to uncertainty, whether that lack of clarity is stemming from the government, the economy or individual companies. In 2012, when politicians could not agree on a plan to balance the U.S. budget, the economy threatened to enter a recession and the political uncertainty spread into the stock market. Unclear about the future conditions for corporate profits and capital gains, which are profits earned by investors and taxed by the government, investors sold stocks and the Dow Jones Industrial Average lost hundreds of points as a result. Reuters: Playing The "January Effect"